I agree enough is enough. In the last week, we learned Facebook allowed our likes, our religions, our network of friends – data that millions of us didn’t intend to share – to be weaponized in political campaigns. A political marketing firm that worked for the Trump campaign, Cambridge Analytica, is in trouble for what it did with the data. But what’s really scary is that it didn’t have to hack into anything to get it. Facebook was designed to collect all that info and handed it over without policing how it was being used. Now Facebook’s having an overdue existential crisis about being a spy machine. But Facebook isn’t like other products you boycott. Last year’s #DeleteUber movement, which attracted an estimated 200,000, helped drive a management change at the start-up because it hit Uber’s bottom line. We don’t buy products from Facebook – we are its product. We’ve given it our information for free. And in North America, we were each worth $26.76 to Facebook in the fourth quarter of 2017. It’s true that Facebook needs our eyeballs to sell ads to marketers and is very attuned to how much time people spend looking at its apps. But you quitting – or even 200,000 people quitting – wouldn’t make much of a dent in its 2.2 billion sets of eyeballs. #DeleteFacebook doesn’t work as a phenomenon only among the elite – it would take tens of millions. And while it’s easy to press the button to quit Facebook, it’s spectacularly difficult in practice. Facebook has a hold on us because of its network effect: Even if you don’t like Facebook, you might still need it to stay in touch with your mom, your second cousin or even your boss. They’d have to quit, also – and all their friends, too. Many people rely on Facebook to sign in to other websites, dating services and other apps. There aren’t great alternatives, either. Several of the most popular other social apps in the United States – Messenger, Instagram and WhatsApp – are also owned by Facebook. People peeved at Facebook’s data practices have tried making new services, but none took off. And the ad industry already has an action force: an anonymous group called Sleeping Giants, which has been effective at getting advertisers to step away from Breitbart News and other outlets the group accuses of racist or sexist content. A member of Sleeping Giants who asked to remain anonymous says it doesn’t currently have plans to target Facebook, but it is watching closely. “What is clear now is they are being irresponsible with information. Advertisers need to be aware of that and ask themselves what they want to support,” he said. Current U.S. privacy laws go deep on areas like children and health data. But there’s no general-purpose privacy law. 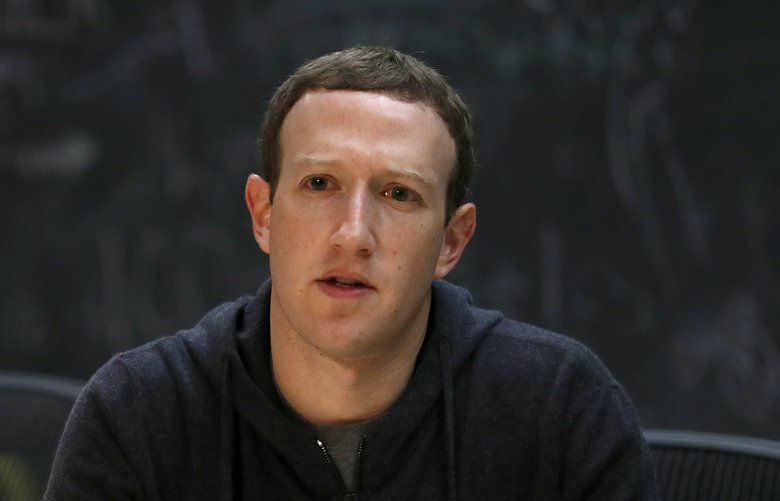 Some members of the U.S. Congress have this week renewed calls for Facebook – even Zuckerberg himself – to testify on the Cambridge Analytica case. But turning that into laws is a long, slow process. Not even last year’s massive Equifax hack got lawmakers to act. We’ve allowed an data-gathering industry to flourish with very few consequences and responsibilities. Now we’re learning just how badly that can end up.